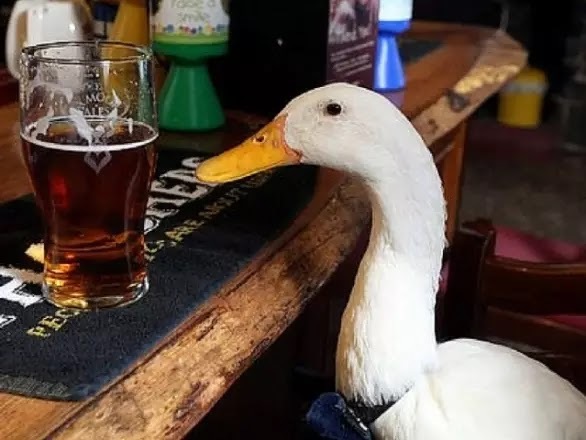 The Rye Whiskey Review : Who's The Duck ? The duck is are mascot a lone fowl that walked into the bar one day. and simply never left . He loves a good drink some even better laughs wild women and good whiskey . Any questions you may have the duck will kindly answer . Just don't ever give him tequila or ask him bout his ex Daisy .